Discussion in 'Gaming' started by Squire Grooktook, Jan 30, 2014. Pretty hype. Metal Slug is aces. Would anyone be interested in trying for a co-op 1cc? It's one of the hardest games in the franchise, and I've heard from someone in beta that the netcode and port accuracy is pretty good. Kawalorn and Error Macro like this. EDIT: oshit, just saw the nightmarish "** WILL NOT RUN ON XP **"
Awesome. :O I'm a big Metal Slug fan and I played the HELL out of those in arcades when I was a kid. I'll try to get it at some point. That's cool but why in the world they changed the character select menu?? DDB Annie Train into Callie Station! You would dare take away kawaii-desu Fio? You're dead to me. Metal Slug is one of my personal favorites, especially number 3. No one take my girl, Eri!!!!! Then I'll come to you tonight to make sure you are dead not only to me and PERHAPS get some kawaii-desu booty. No one take my girl, Eri!!!!! It seems that you and I will never be friends. Yeah, I hope they include the option to use the original artwork, since it was so quirky. Looks like a pretty robust port though so I wouldn't be surprised. 1 credit clear, that is, completing the game without getting a game over and having to continue. Since score is reset upon game over and playing through with unlimited continues often makes it impossible to lose, a 1 credit clear is usually considered a "true" win at any arcade game or shmup. Ok, I get it now. I think the lowest amount for Metal Slug 3 (when I played every day for a month) was in between 4-10. Time Crisis 2 I did 1cc once and I felt AMAZING! Changes constantly; search for "Cynical" and look for my avatar. Meh, why couldn't they have ported the good Metal Slugs (1 and X) instead? Yeah, it can really increase the depth and longevity of the game to pursue that. Because 3 is good unlike your taste. The other Metal Slugs are good too though. What's good about a Run and Gun that's constantly stopping your ability to move forward thus destroying the entire game's pacing? 1 is more boring because it doesn't change the enviroments and enemy types too much. X is the opposite and it's one big shitstorm of WTF. 3 hits the spot inbetween perfectly. That's why I see it as the best one. I have no idea what you're talking about. You move forward just as much as any Contra or other MS game. Heck, Contra probably moves forward less due to the "boss fest" design that it eventually evolved into. Error Macro and Broseidon Rex like this. Man, I was hyped when I saw this was announced the other day. I hope this means we end up seeing more stuff from SNK Playmore in the future. Like those rumored PC releases of KoF '98UM and 2002UM. EDIT: this is in response to Squire. I got double-ninja'd. Someone never played the 8-bit Contras or the arcade ones (which is to say, the good ones). For the most part, Metal Slug 1 and X don't stop your movement much to make you fight more waves (the big exceptions to this are stages 2 and 3 in MS1). MS3 does this constantly. I have played every Contra except the 3d ones and the game boy ones, and I 1 life cleared Contra 1 way too easily. Imo Contra 3 is the best because it has the best balance between platforming and bosses. Contra 1 and Super C (both the Nes and Arcade ones) are good but it's a long shot saying they are the only "good Contra's". Haven't tried to 1cc Hard Corps Uprising yet so I won't rank it for now. Still have no idea what you're talking about. 3 has waves, but it changes up what you're doing constantly. One minute you're moving forward, than fighting a wave, than in a vehichle, than swimming, than fighting a boss, etc. The key to a feeling of variety is that no two segments require the same strategy, and MS3 accomplishes that. Also "pacing" should in no way be hampered by fighting. Beat em ups, 3d character action games, shmups, and numerous other genres do not force you to move forward constantly across every section, and they're "pace" isn't hampered by it in the least. Though that's because (with almost all good action games), what you're doing from moment to moment is rewarding, deep, and varied enough on its own. More like best co-op shooter there is. 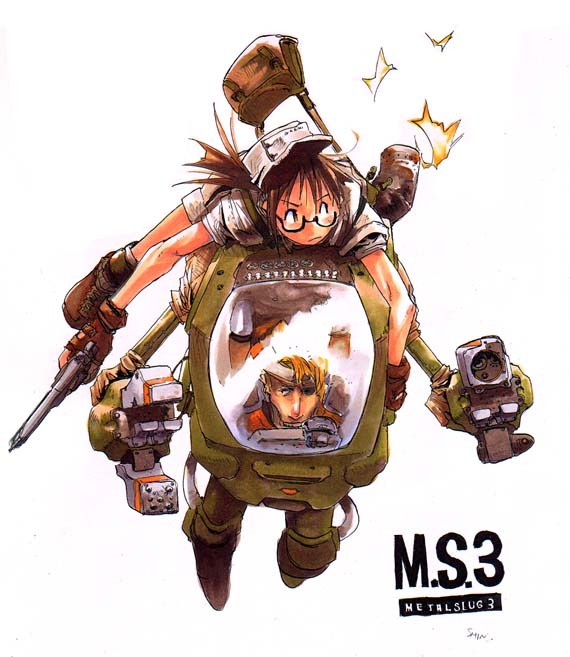 I loved everything about Metal Slug 3, it was charming, fun, and cool. Osmiumsmith, DDB and Broseidon Rex like this. My all time favorite game series. I might actually have a reason to get steam now. Definitely my favorite in the series right behind Metal Slug, Metal Slug 2, and Metal Slug 5. Sorry, bro. 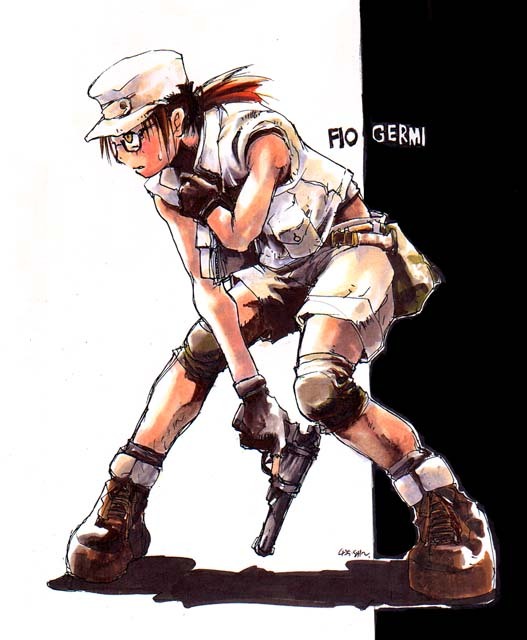 She's been my main in every game since Metal Slug 2. That's fine because all I need is my pearler bead design of Eri. Kawalorn and Flotilla like this. You're forgetting the most amazing part of Metal Slug 3. Caleb, Error Macro and Broseidon Rex like this. I would love it if we just made a giant steam chat next weekend and just all played metal slug together. They will probably bring over the rest eventually. I'm guessing their just testing the waters for now. Yeah. Metal Slug Anthology had atrocious loading times on the Wii and PS2. The PSP version wasn't good either, but slightly better than the other two were. K, I bought the game and it launches tommorow. Unfortunately the friend I was gonna try for the 1cc with won't have enough money to buy it since he's picking up a new computer. I would gift but I only have .09 cents remaining in my Steam wallet as well lol. If anyone wants to play, send me an invite or friend request. So, yeah, I'm up to playing tomorrow. If you guys want to play with me just send a friend request so I can add you. Just installed it and I'm about to start. If you want to play, send me a message. Just finished playing through the first two levels with a friend from Australia. Pretty fun. Netcode isn't bad, but there are some hiccups in it. Why am I so bad at this gaaaaaaaaaaaaaaame?